Canada is one of the leading study destinations that hold a fine reputation for its first-rate education system and standards. Every year around 1, 30,000 overseas students head to this maple leaf nation to attend its internationally recognized study abroad programs. This world-class study destination boasts a wide range of approved universities and colleges for undertaking diplomas and degrees in diverse professional disciplines. Alongside its top-ranked educational institutions, this vibrant, cultured nation is also widely known for innovation, excellence, and eye-catching landscapes. 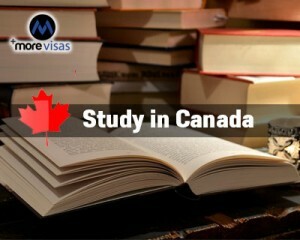 This modern destination offers a good scope for international students in Canada who wishes to excel their skills and abilities wish to kick-start their new career. An Indian student planning to give wings to his overseas career can choose to study in Canada from India to fulfill their long-term career goals. This Maple Leaf country has around 175 renowned community colleges and 92 institutions that provide study abroad programs in various disciplines that would be supportive for a student to stand easily apart from the crowd. It spends more of its per capita income on its standard education system in the OEDC (Organization for Economic Cooperation and Development). We usually come across many Indian students in Canada top-notch universities, as its degrees are accepted in the academic, government as well as the business circles across the globe. ← Keen to Know About the Process of Schengen Visa from India?